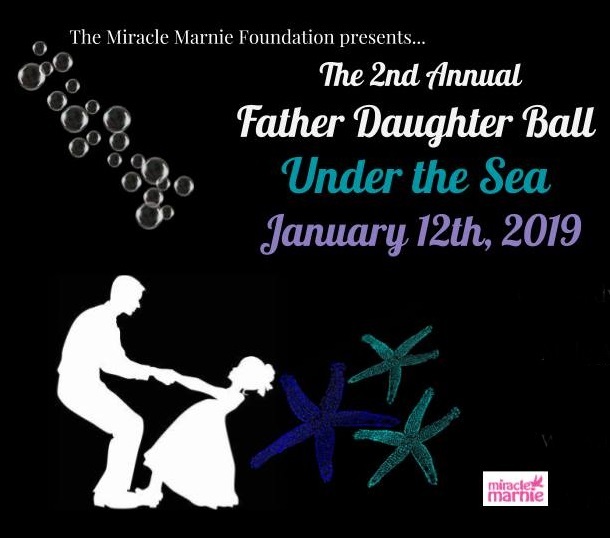 The Miracle Marnie Foundation presents the 2nd annual Father Daughter Ball “Under the Sea” on January 12th 2019 from 4pm to 8pm at the Orchardview Wedding & Event Centre in Greely. 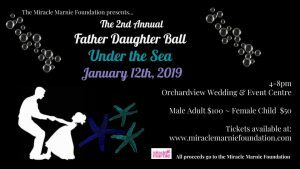 Come enjoy a fin filled evening with your daughter at the Orchardview Wedding & Event Centre in Greely where the ballroom will be transformed into an underwater experience! ~ A few surprises of course!